There can be few more special or important times of year than the New Year period – a time when many of us reflect on events over the past 12 months, including the good and the bad, before contemplating what we wish to experience and achieve over the next year. Whether money is tight or flowing freely, everybody wants to get the most out of it. The most enjoyment, the most fun and the most wonderful experiences and memories that will last a lifetime. The unique idea that more and more people are sharing is to catch a flight or the Eurostar to a French Chateau near Paris and make the short trip to its delightful leafy green surroundings. Chateau Bouffemont is a romantic idyll welcoming visitors from around the world since it’s construction in the 19th century by noted industrialist Edouard Empain. Set in stunning grounds taking up five hectares, the Chateau has a well-deserved reputation for its warm welcome and romantic charm. One of the best ways to take full advantage of the Chateau’s breathtaking salons, suites and rooms is to consider one of their sought-after special offers. These exclusive and bespoke deals offer the best experiences available at reasonable competitive rates. Whether on vacation or celebrating a special occasion, there is a deal that’s just right for you. 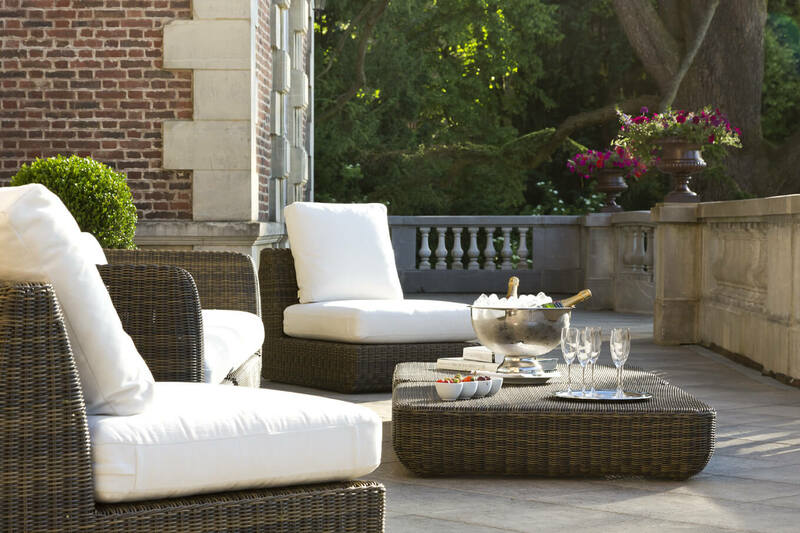 The perfect chance to relax and unwind with close friends and family or live the life of one of one of the Barons of Empain at their traditional seat. The Baronial Vacation Retreat is based on six nights staying at the Chateau with several of the rooms occupied based on the number of accompanying guests. Think of it. Your own private Chateau for a week. 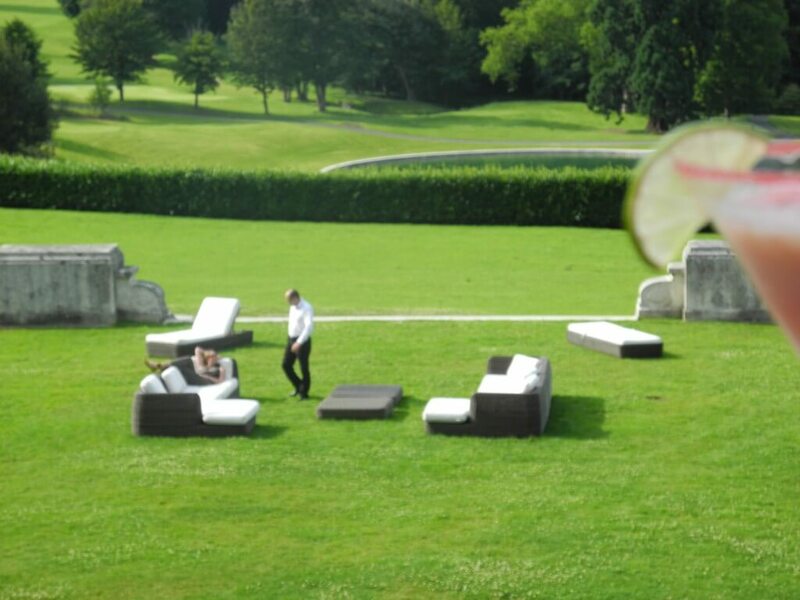 A full-board gourmet experience includes the exclusive use of the Chateau and its grounds for you and your guests. These include the five grand halls, bar and games room; nine suites and rooms for accommodation and an additional separate guest kitchen accessible 24 hours a day during your vacation. To complete the experience a dedicated full-service team is assigned during your stay including housekeeping, concierge, chef and of course, a private butler. All meals – breakfast, lunch, afternoon tea and dinner – are served with the most appropriate paired wine and champagne is always available for adults on arrival; with special home-made cookies for children. Alternatively, if a week is impractical or too long then you can also enjoy The Perfect Long Weekend at Chateau Bouffemont. Whether it’s just the two of you away for a romantic break in the City of Lights or a family trip, take advantage of the same luxurious location and amenities. The same rooms and suites and the same personal service of professionals including a private butler are at your disposal for the length of your weekend stay. If you have made the excellent decision to get married at Chateau Bouffemont then you can take advantage of another incredible offer. 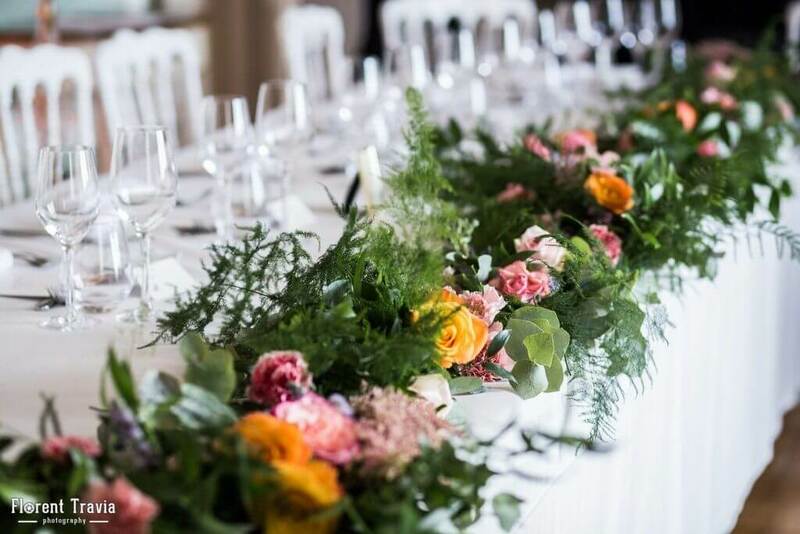 If you choose to Tie the Knot on a Weekday then you and your guests can enjoy the exclusive use of the chateau with nine suites and rooms available for accommodating up to 30 of them along with our excellent complimentary breakfast for all staying guests. There is a 20% reduction from the regular nightly rate and a late check-out for the day after the wedding of 4pm as we understand that it can take a longer time to say goodbye to your loved ones and get ready to set off on your honeymoon or journey home. 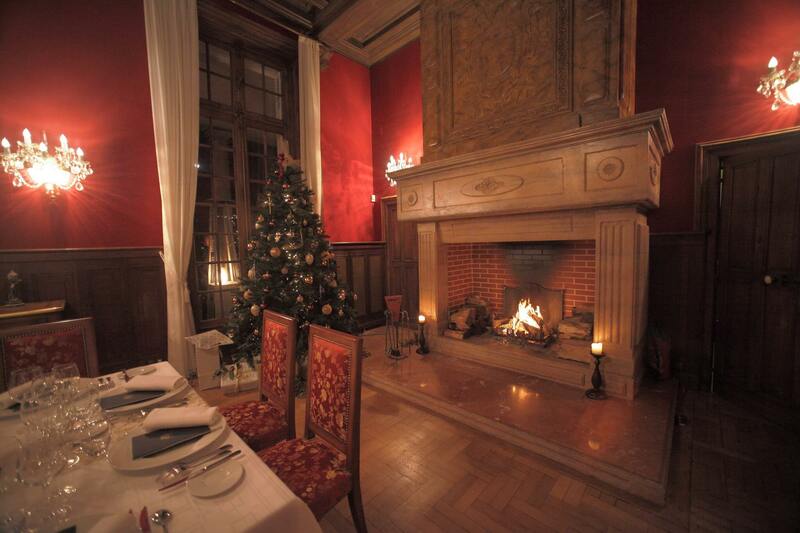 It’s never too early to start thinking about Christmas and New Year and spending some of the Festive Season at Chateau Bouffemont. 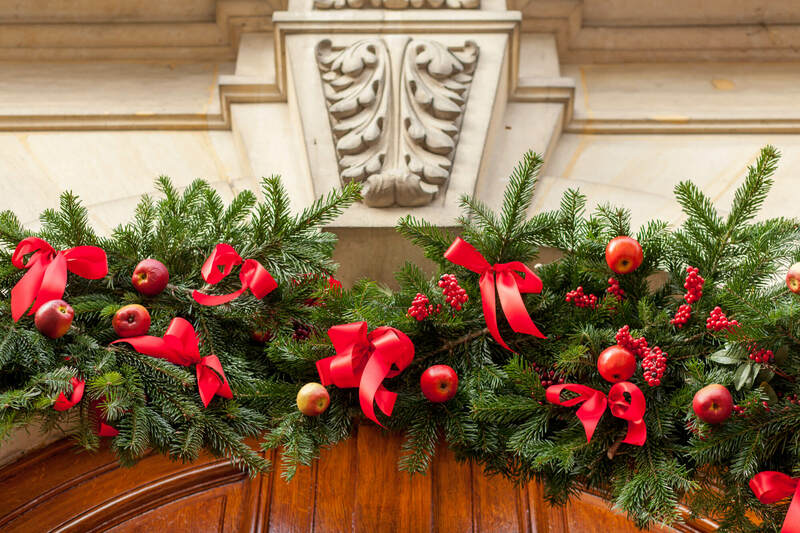 From December 1 2018 to January 10 2019, the Chateau becomes a winter wonderland with spectacular decorations and floral arrangements, roaring fires and cosy seats to settle down in on a winter’s night. All the areas of the Chateau are available for exclusive use along with the personal service staff and additional 24-hour guest kitchen. For two nights, you can enjoy the perfect holiday season activities and amusements and relax in the most sumptuous of surroundings. 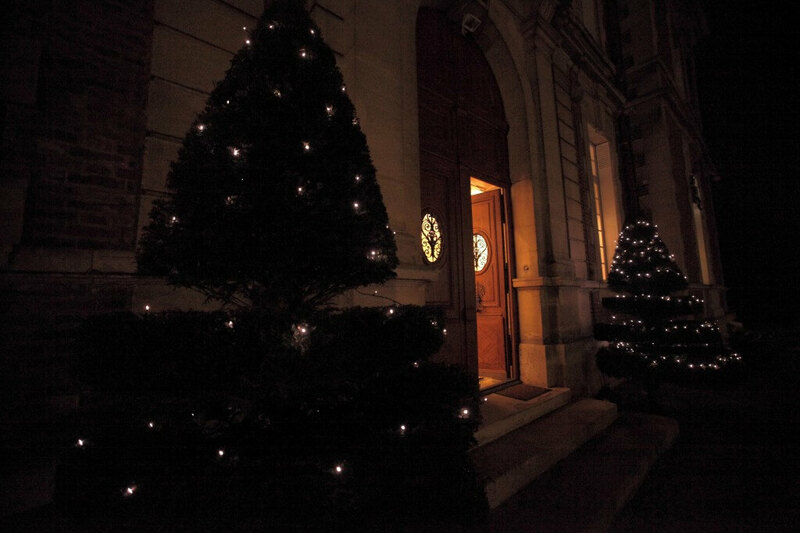 The first night features a festive five-course dinner with wine, following pre-dinner drinks and canapés followed by more drinks by the fireplace of the charming Salon du Baron. The second day starts with a savoury brunch followed by a choice of winter activities such as horseback riding, a cycling trip around the village or a relaxing stroll in the park. A three-course lunch follows with the best locally sourced ingredients followed by movies and games in the Dandy Lounge, a champagne afternoon tea and a four-course dinner with a Chef’s surprise. However or whenever you choose to spend your time at the Chateau Bouffemont, you can be assured of the warmest welcome, the best food, the most peaceful surroundings and hopefully the happiest memories of your life. 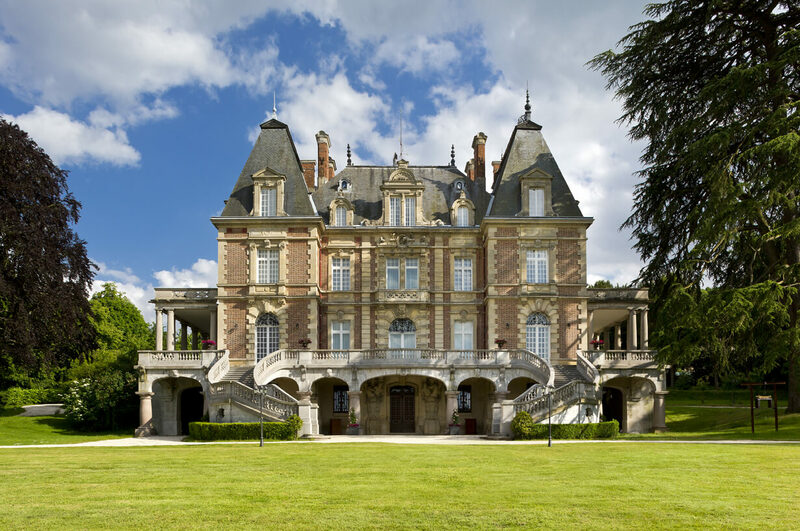 Why Choose a Chateau in France for Your Next Getaway? If you are seeking the ideal setting for a luxurious getaway, France can be an obvious draw. The Gallic country is resplendent in breathtaking historical attractions, beautiful rural scenery and opportunities for succulent wining and dining. 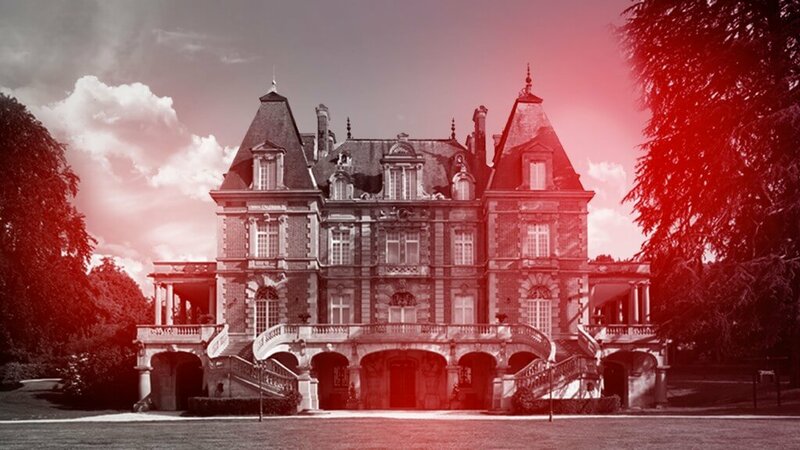 Furthermore, you can enjoy it all the more when you choose a chateau as your base. Here are several good reasons to consider a chateau rental in France. It can often seem impossible to overestimate the breadth of attractions in Paris. The French capital can easily satisfy, whether it is cuisine, history or culture of which you are eager to sample the best. The city’s ready accessibility also counts in its favour. Paris is served by Charles de Gaulle Airport, which is itself just a 20-minute trip away from the luxury venue, Château Bouffémont. You would have exclusive access to this heritage building for as long as you rent it. If you have a keen interest in history, you could find yourself in your element here at Château Bouffémont, which was built in the 19th century. The building exhibits refined interior decor; you could be especially enchanted by such elegant touches as the crystal chandeliers. However, don’t forget to also spend sufficient time outside the building to let yourself see the stone-built residence’s exterior in all of its magnificence. There’s a good reason why your trip is called a “getaway” – after all, it entails literally getting away from the hustle and bustle of your usual day-to-day life. You could, therefore, delight in the opportunities to unwind in the quiet of the Chateau’s wonderfully manicured French gardens. With this domaine situated in a secluded spot in Montmorency Forest, you would have no shortage of private settings from which to choose during your soothing stay in France. Even without leaving Château Bouffémont, you would be able to sample horse riding and such relaxing sports as tennis and golf. We can even give you access to fitness and dance lessons, allowing you to benefit from one-on-one intuition. Key to the beauty of staying here at Château Bouffémont is that it does not offer a single, standardised experience for everyone. Instead, you can carefully tailor the offerings. For example, on-site, we have dedicated staff who can make refined cuisine to your specific liking. 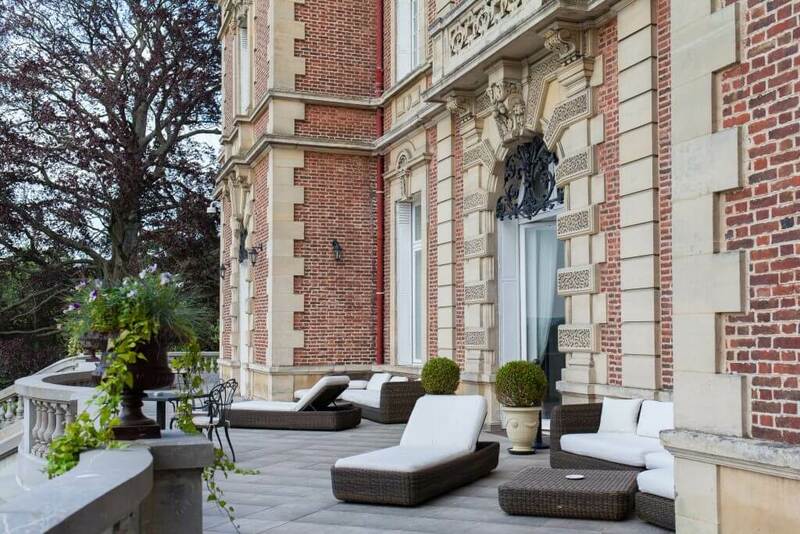 Choosing the Château for your luxury escape in France offers further possibilities for a personalised getaway. Architectural Digest highlights how different Parisian neighbourhoods can cater to particular personalities – and the city can soon be near if you make a reservation with us. Château Bouffémont invites you to share a friendly and a delicious moment with La Maison du Chocolat. Partner of the Château, one of the most prestigious French Chocolate Makers with an international fame will be sharing its knowledge with our guests. 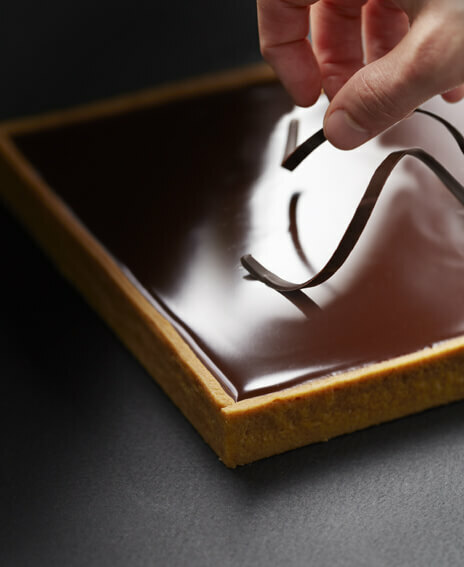 Alongside a Master Chocolate Artisan, discover all the secrets of making a high quality chocolate and also the great classics of French pastry. “Creator of legendary chocolates” La Maison Du Chocolat selects the finest cocoa to give birth to its highly pleasing Praliné and delicate Ganache. 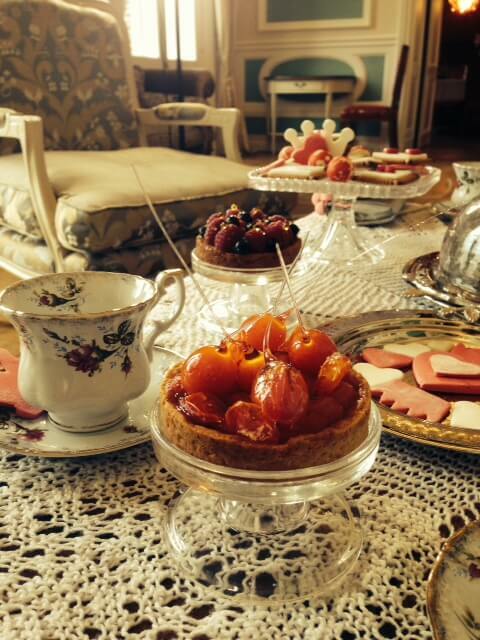 Excellent in making traditional desserts, they also offer surprising creations. 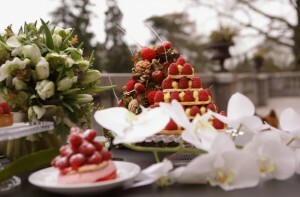 During this Master Class at Château Bouffémont, you will be guided step by step to elaborate a recipe of your choice. Fun and an interactive time that will delight both the young and the elder. Each guest will leave with their own creation at the end of the session and the recipe notes card. 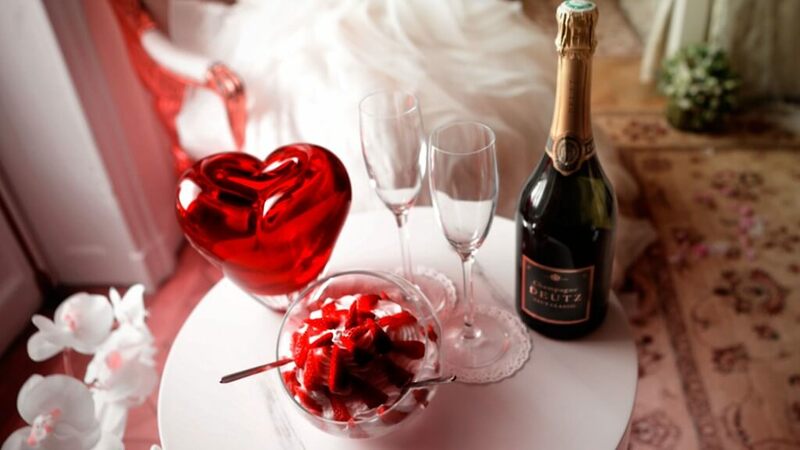 Instead of going in a Parisian place for your Valentine’s Day, why wouldn’t you choose an intimate place, where you will be sure to surprise your wife? Even better than the romantic city, Château Bouffémont is the romantic place in France you are searching for, just next to one of the most glamour city in the world. For all lovers, Château Bouffémont will fits perfectly. Sweep your loved one off her feet with an intimate experience. Because your loved one deserves to be treated like a princess, offer her a unique moment out of time for Valentine’s Day. Create magical moments with your loved one at Château Bouffémont this Valentine’s Day, indulging yourselves with a unique experience. 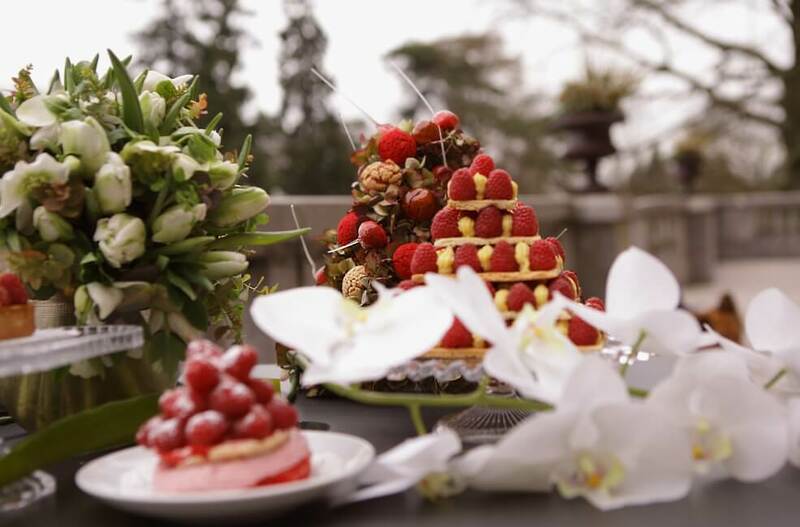 Adorned with its most beautiful jewels, Château Bouffémont invites you to a unique experience. 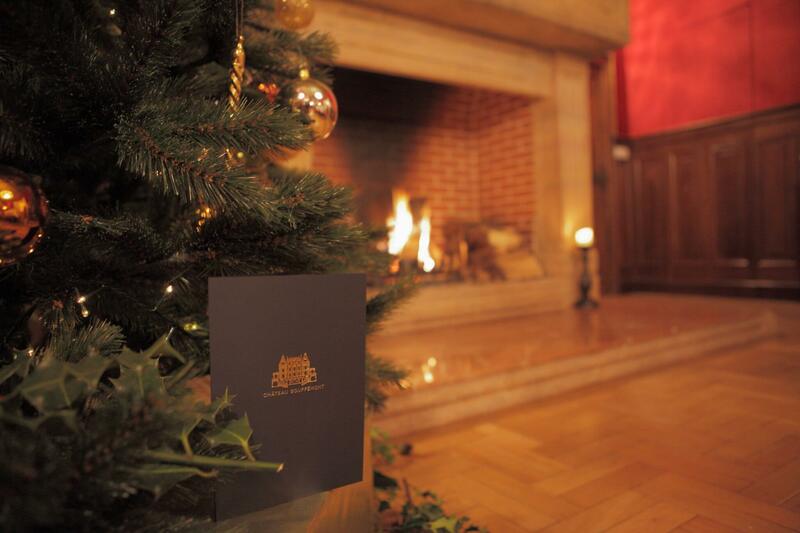 The magic of a Christmas evening in an extraordinary location, just for you. 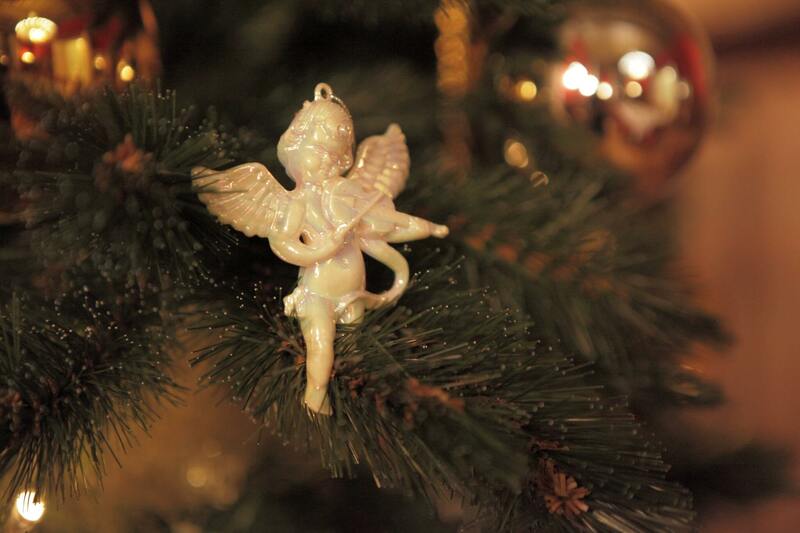 Come celebrate Christmas with your family in an enchanting setting that still feels like home. You were looking forward to this stay so much you could barely contain your excitement. You had told the Château’s staff of your compelling need to unwind in these early days of autumn. Now you are the guest… Comfortably seated in the Grand Salon, you are absorbed in a fascinating historical novel. Our butler gently interrupts and offers you the services of our masseuse known for her magical touch. How could you refuse such an offer? Your schedule is completely free: you order a light breakfast and leave to the staff the organisation of this massage you have heard so much about. 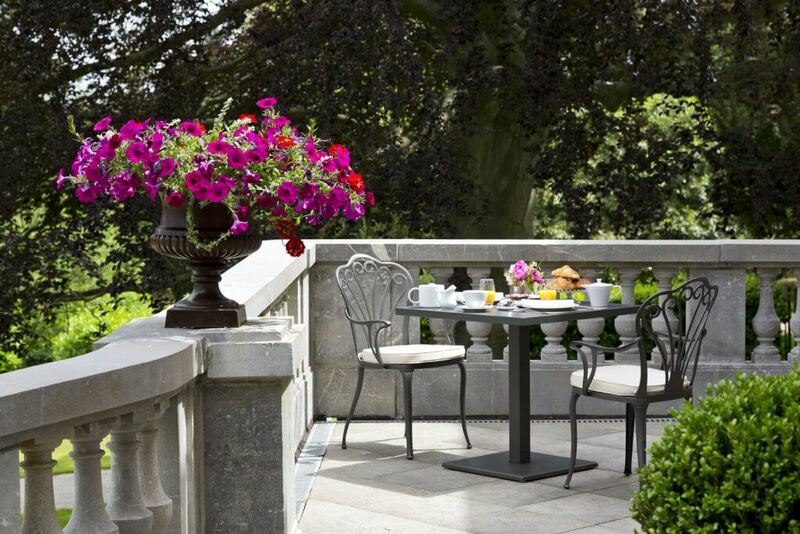 After a refined meal using seasonal vegetables, you go back to your suite. The masseuse has joined you. She has been warned that you needed to relax, so she suggests to start with a gentle, personalized massage with essential oils in order to release all your tension. The following days will be spent on invigorating treatments to boost your energy. You breathe deeply: you experience a deep sense of well-being. You feel at home. Surrounded by a halo of scented oils, you already feel the effects of the massage. You reopen your eyes. Before she leaves, the masseuse wraps a silky robe around you. You will see her again during your stay. You awake feeling well rested. As you slowly come around, your eyes are drawn to the beautiful detail of your surroundings. 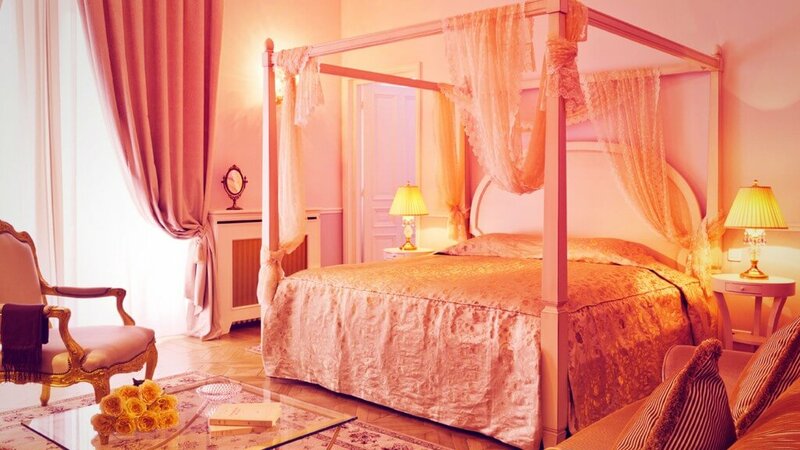 An opulent suite with lavish décor and charming features. As you get up, you slowly wander over to the vast bedroom window, which frames the most picturesque scene. You marvel at how seamlessly the Chateaus’s hilly grounds blend into the surrounding French countryside. Suddenly, you feel a sense of freedom run you over as you look out at the countryside stretching ahead. After a healthy breakfast, it is time to switch off the outside world and focus on strength, flexibility and well-being with an invigorating yoga class. Tailored to your preferences, your daily training classes can include any combination of your favorite yoga styles and sequences. You suddenly become aware of your breathing as a warm feeling of wholeness floods over you. Your mind and body now as one, you end the class feeling reconnected, recharged and rejuvenated. After your yoga class, as guest of the Chateau, you can continue the relaxation theme with complimentary access to the Spa and pool of the Paris International Golf Club. Or perhaps it is time to savour the fresh air with a restorative walk in the luscious French countryside.